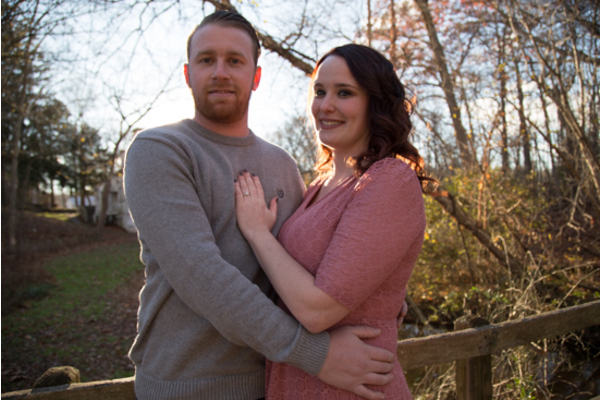 Congratulations to Victoria and Andrew on their engagement! 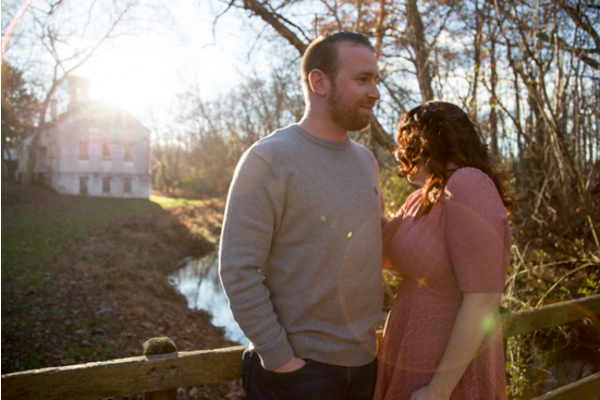 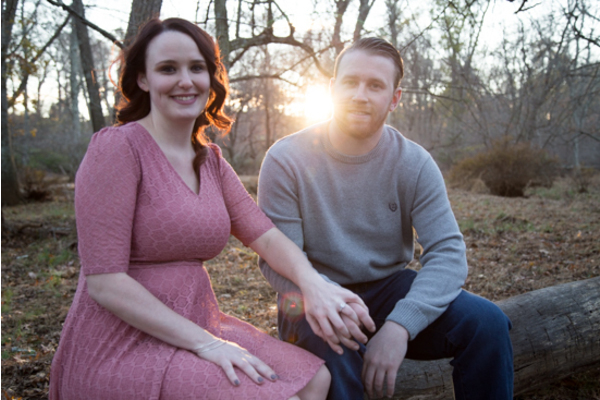 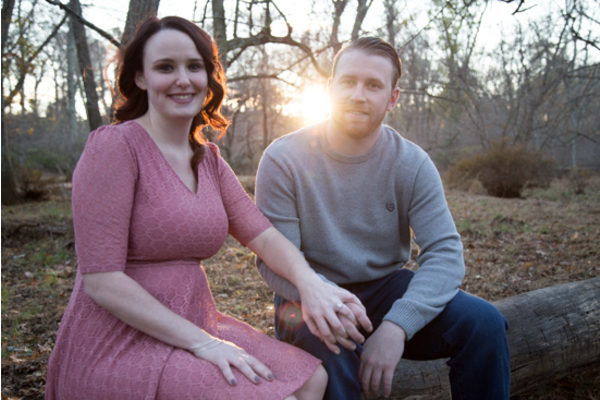 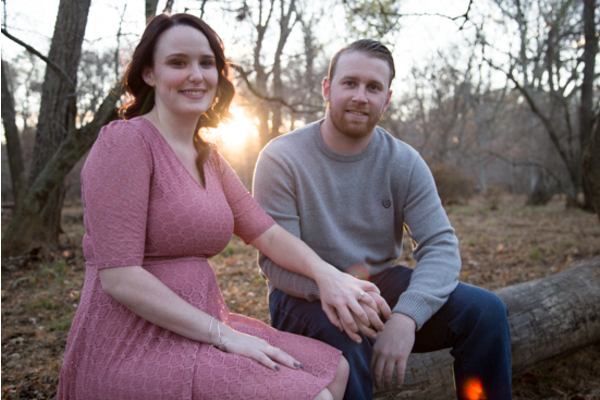 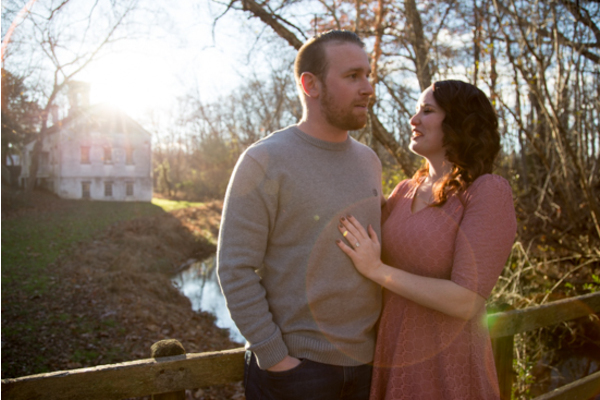 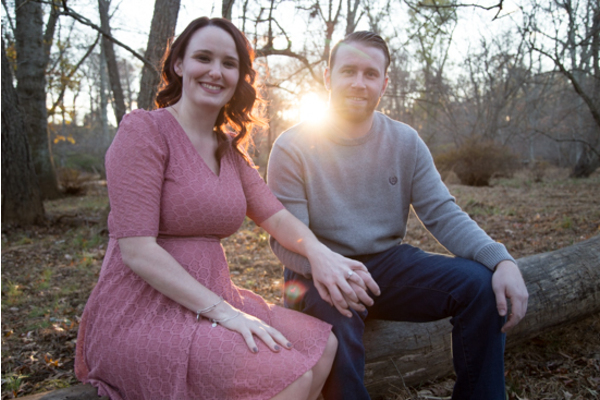 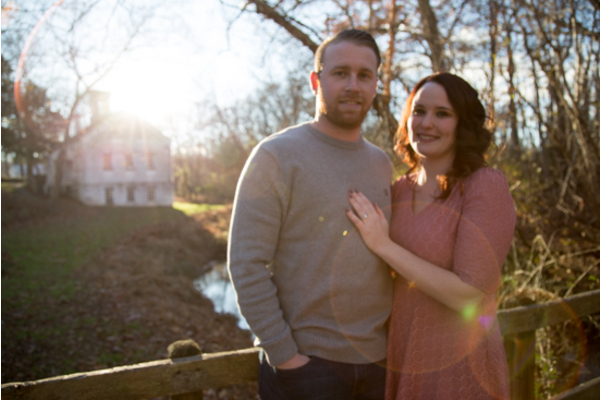 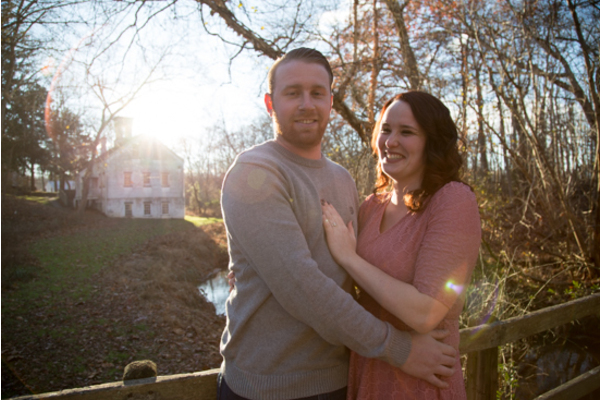 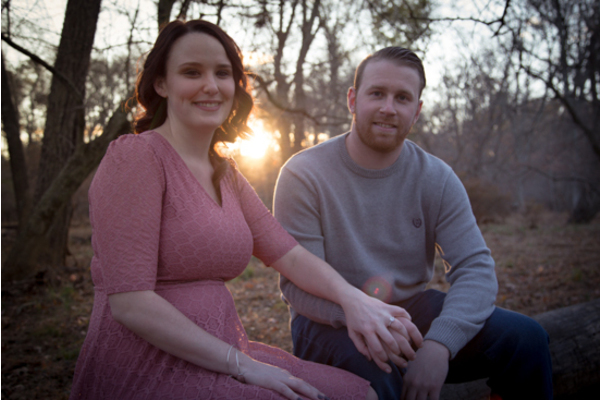 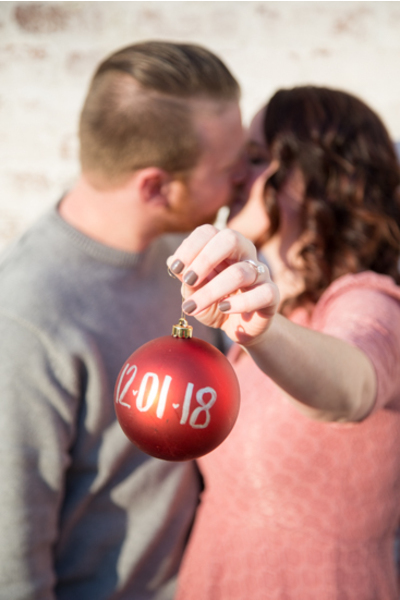 This lovely couple is awaiting their winter wedding this December at the dazzling La Luna Banquet Hall in Bensalem, PA. Their outdoor engagement session with Christmas-themed props was the perfect prelude to the winter wedding with the help of our NJ Wedding Photographer. 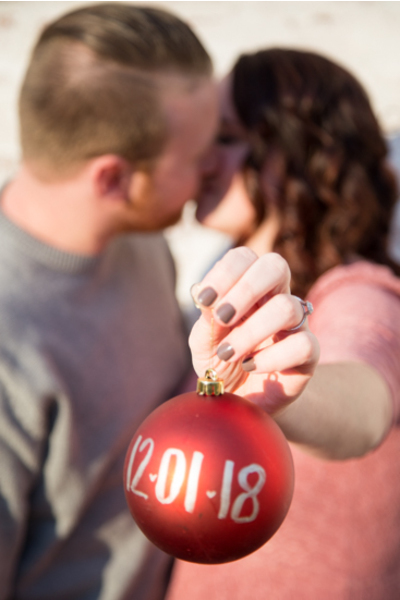 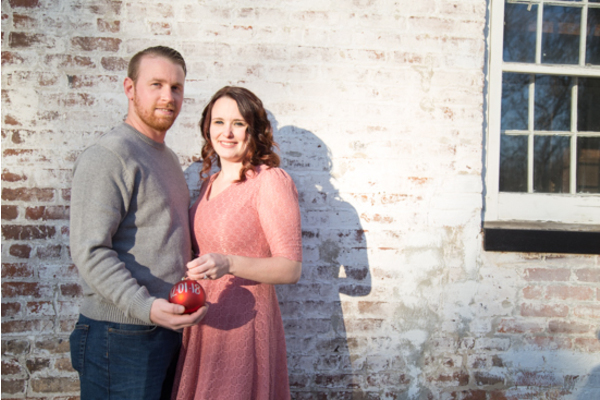 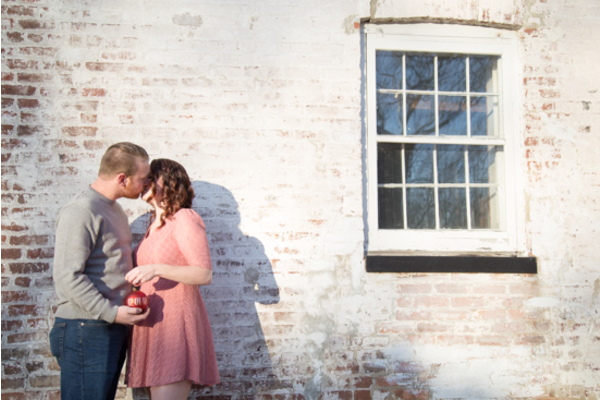 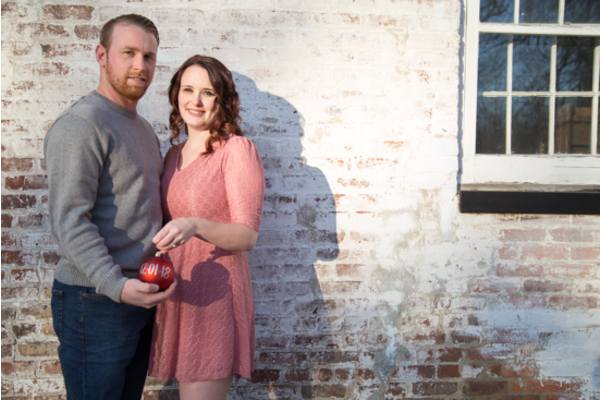 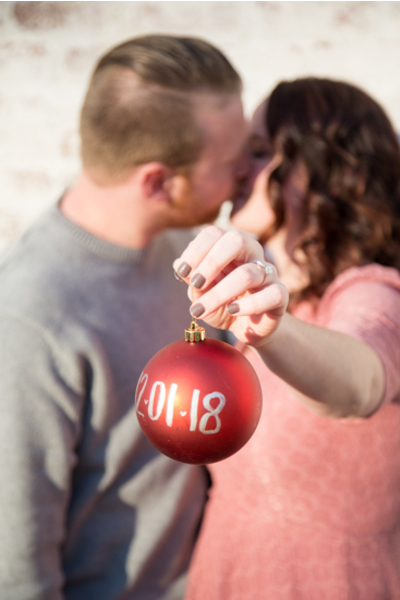 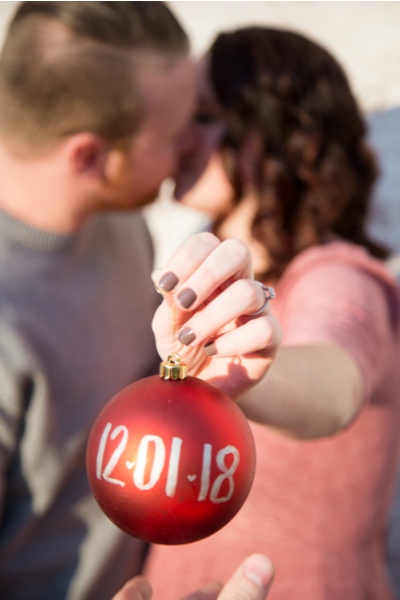 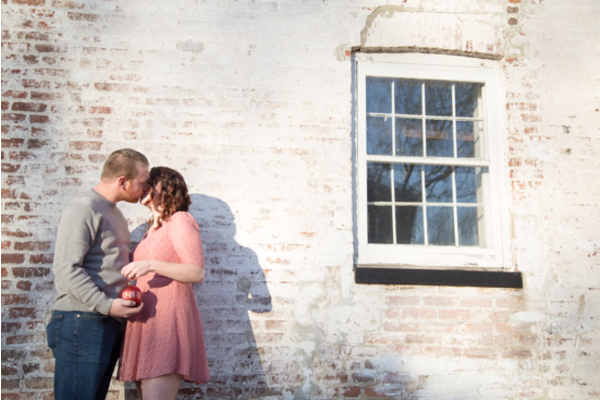 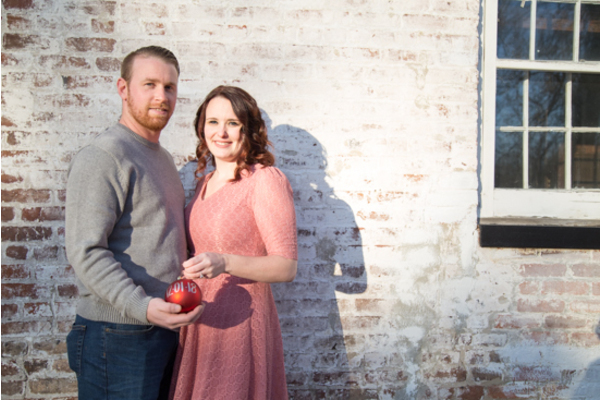 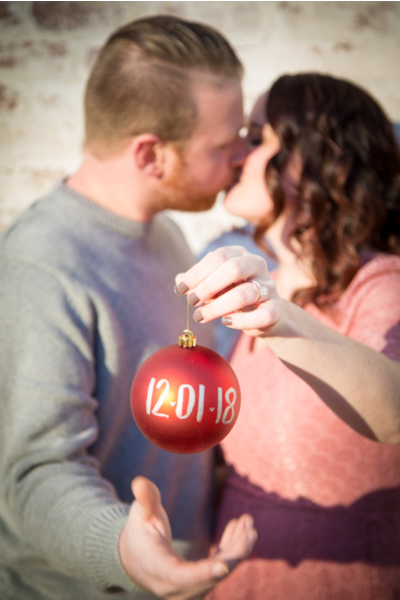 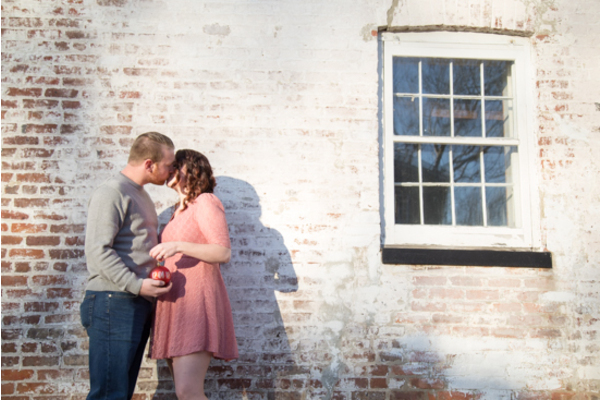 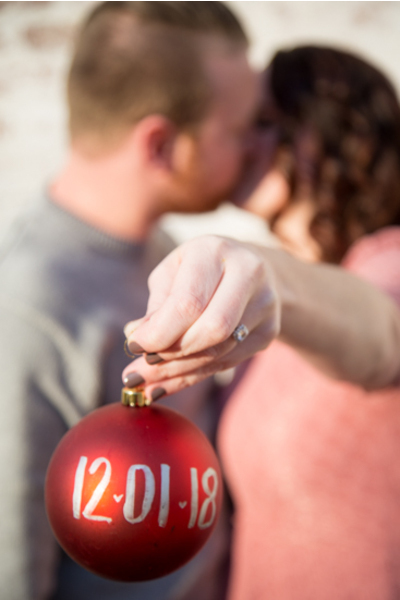 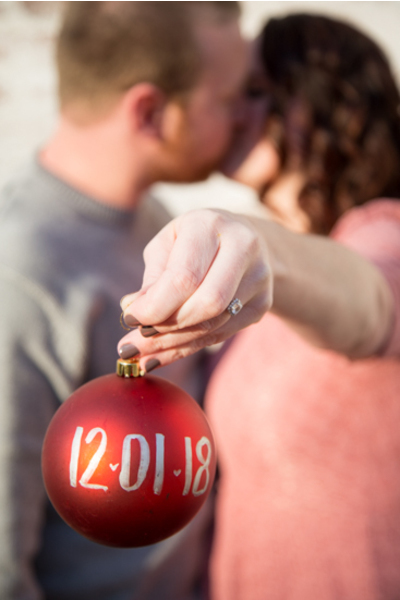 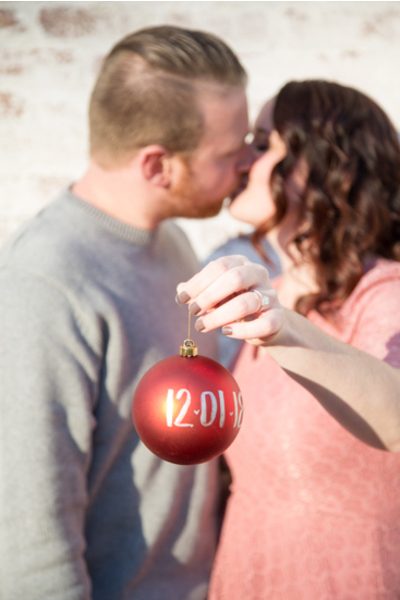 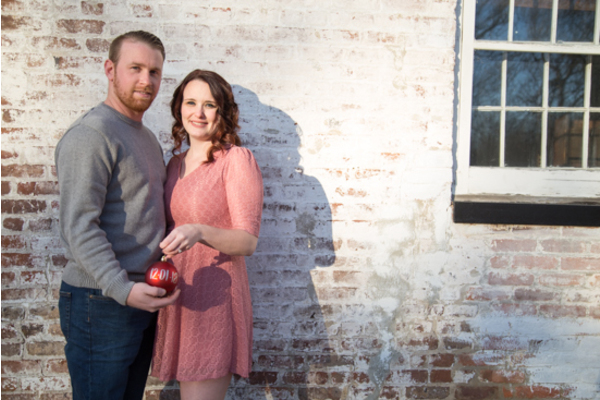 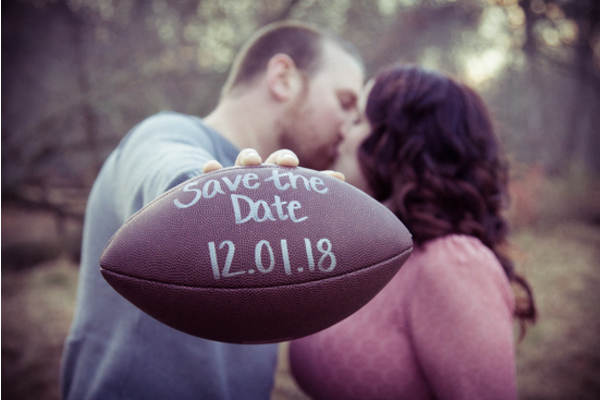 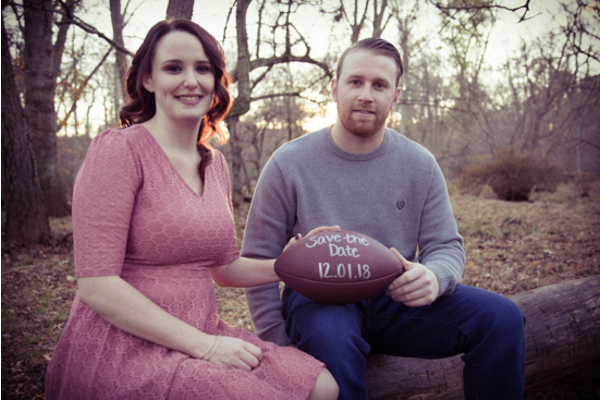 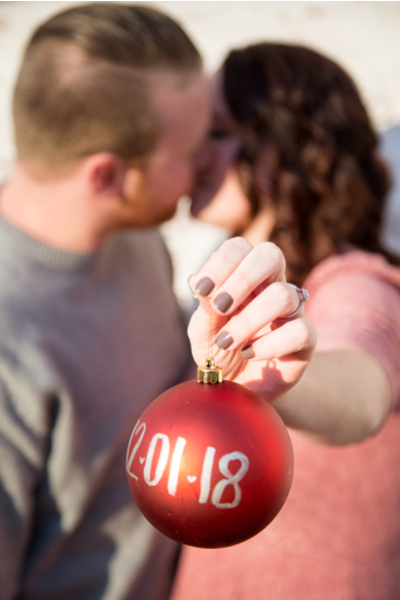 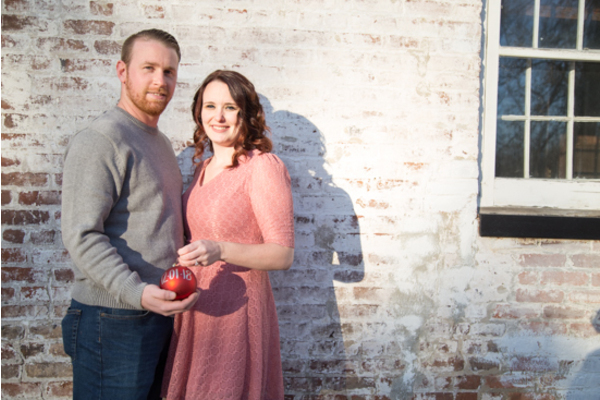 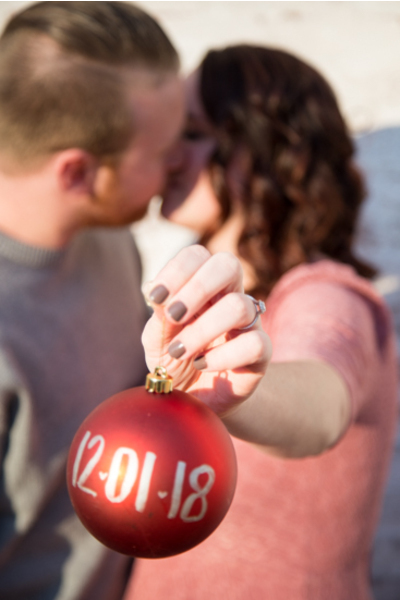 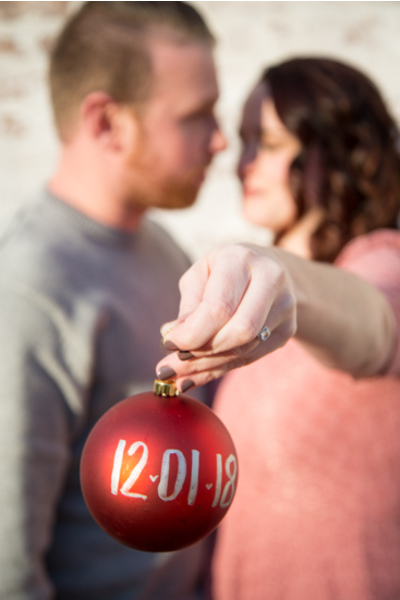 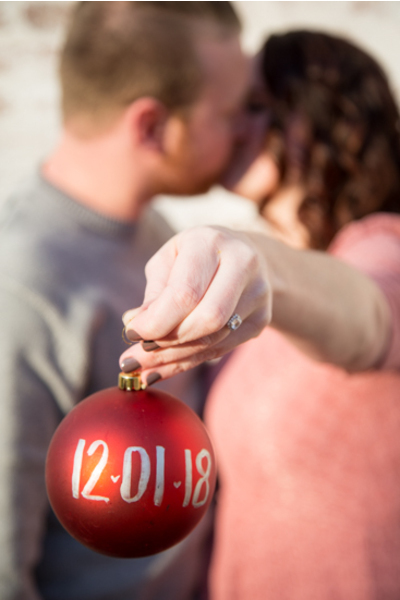 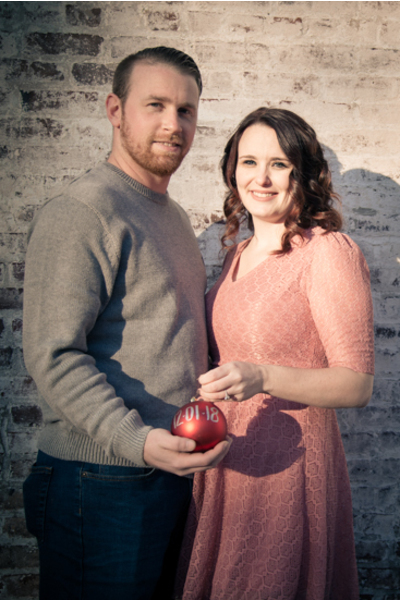 For a Christmas-filled engagement session, the couple brought along a red ornament and even a football with their wedding date written on it. 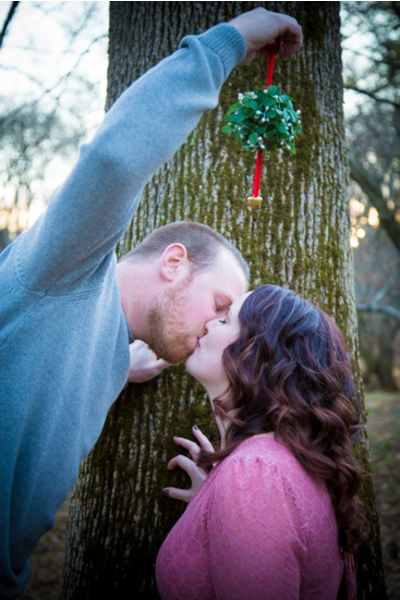 These football fans also posed for pictures kissing underneath the mistletoe! More red and gold Christmas ornaments were added to this engagement session with one saying “Mr. 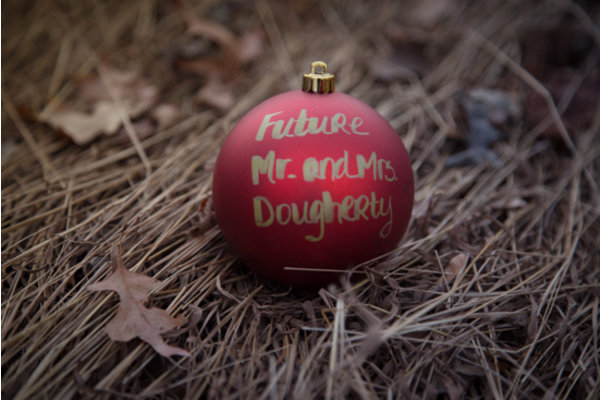 and Mrs. Dougherty.” Our NJ Wedding Photographer captured the romantic and candid moments of the day spent with Victoria and Andrew. 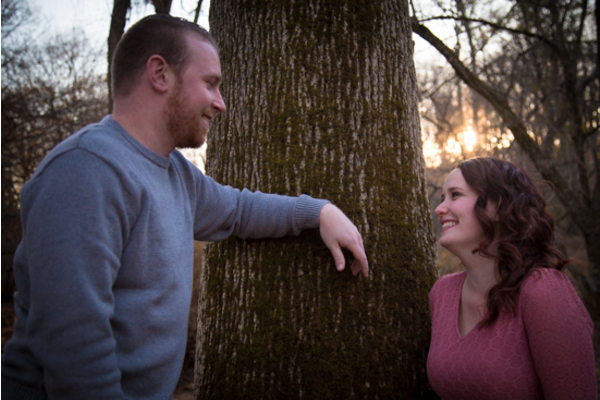 They truly looked so effortlessly happy together in each photograph! 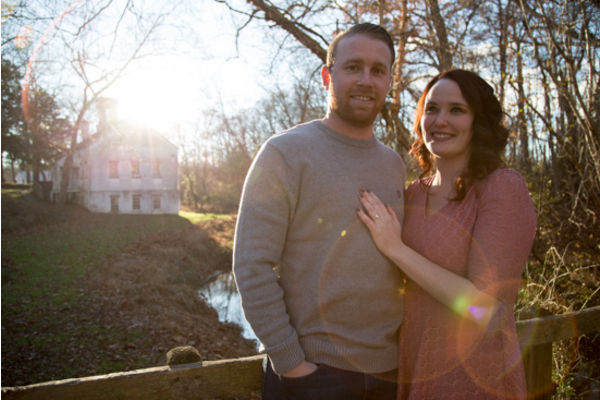 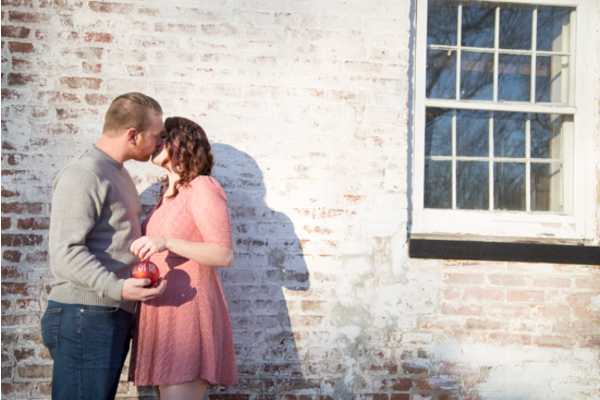 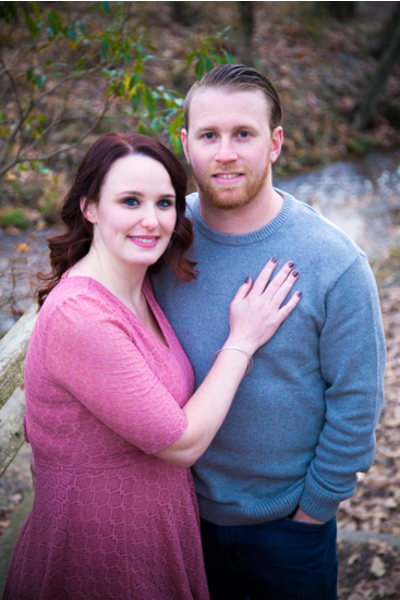 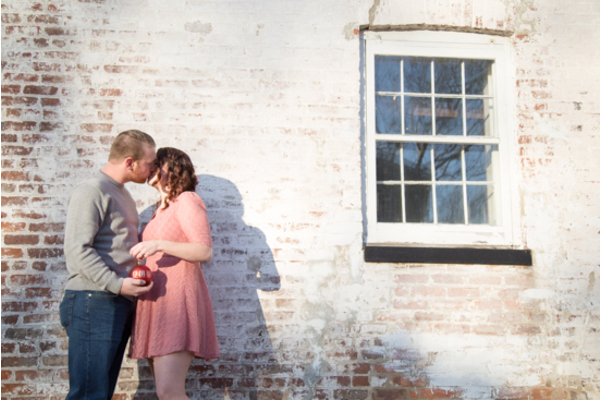 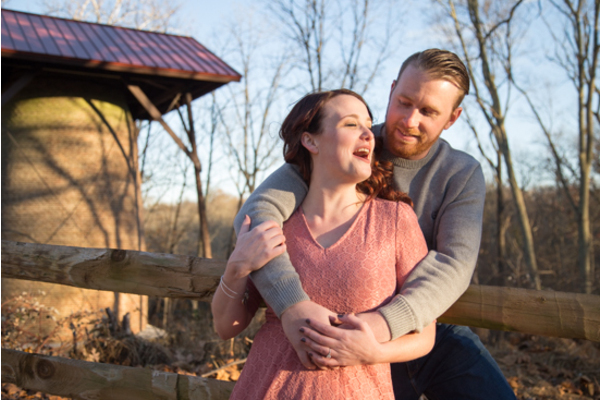 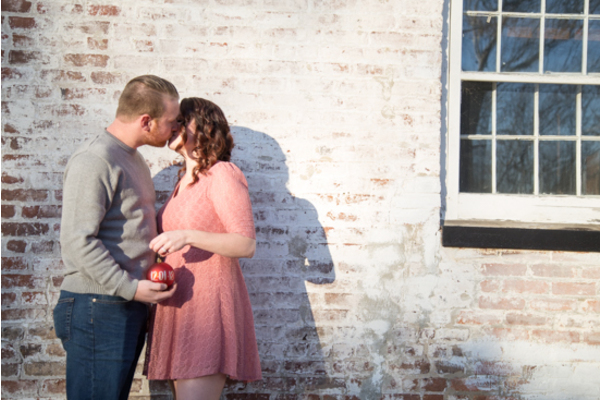 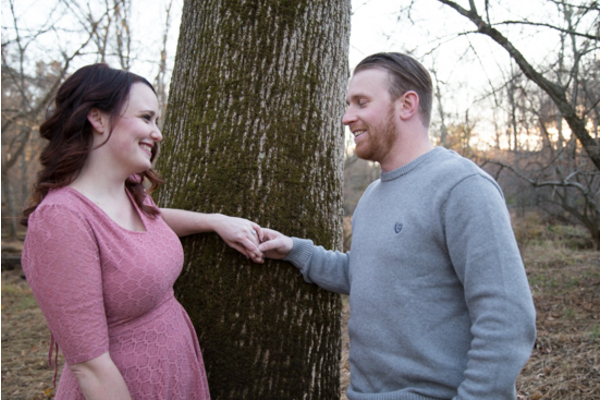 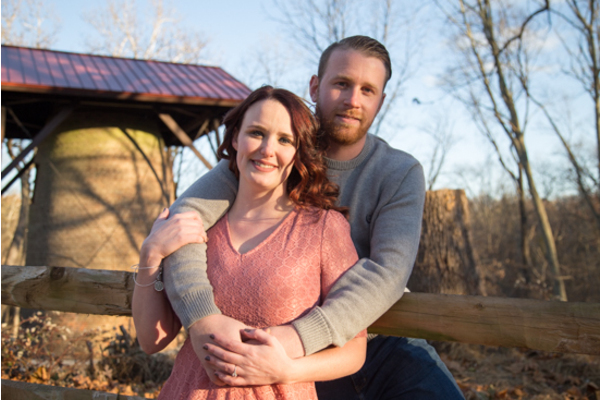 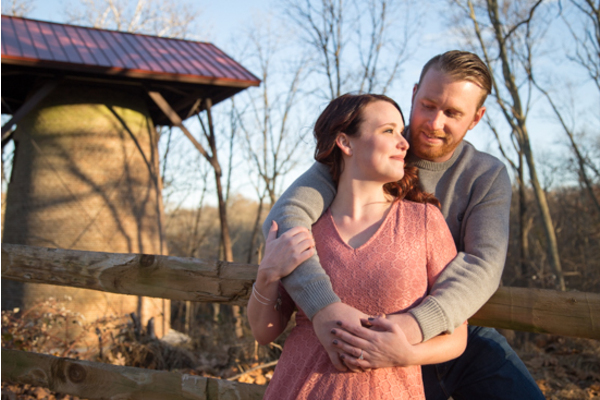 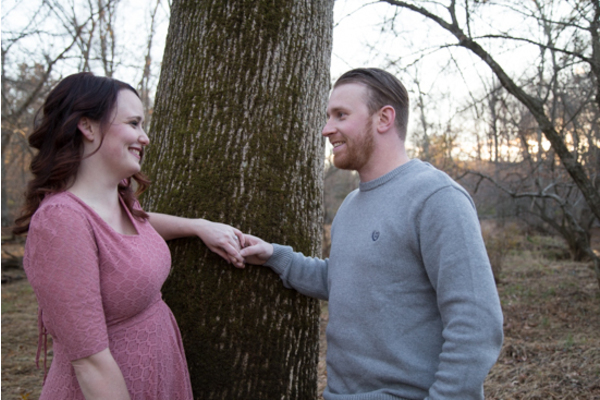 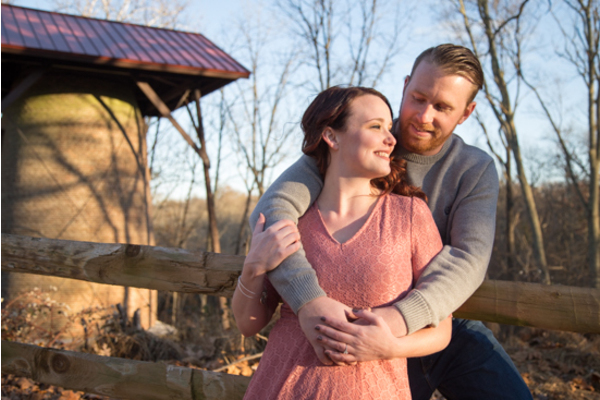 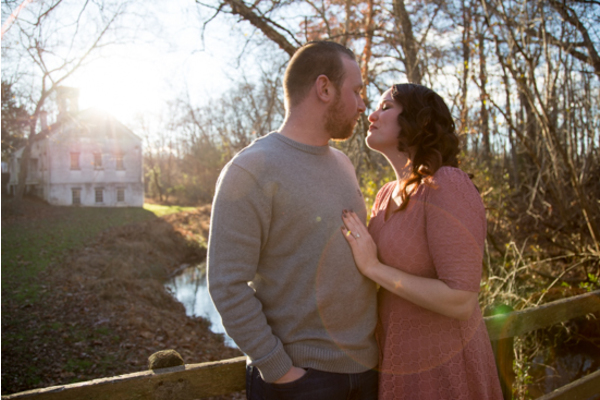 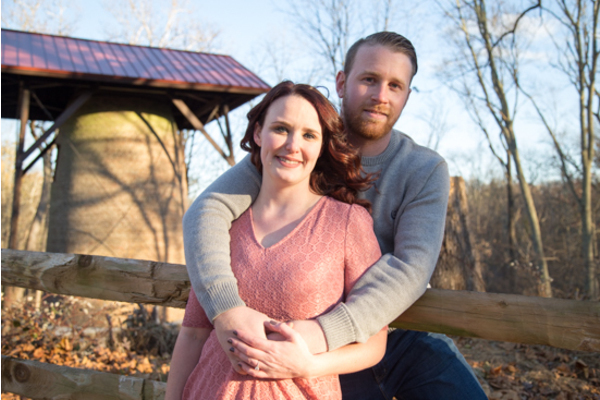 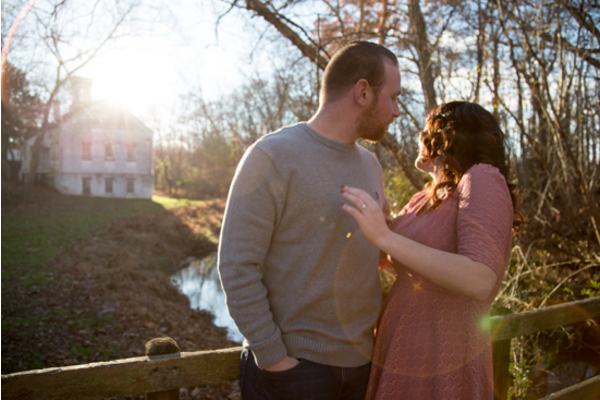 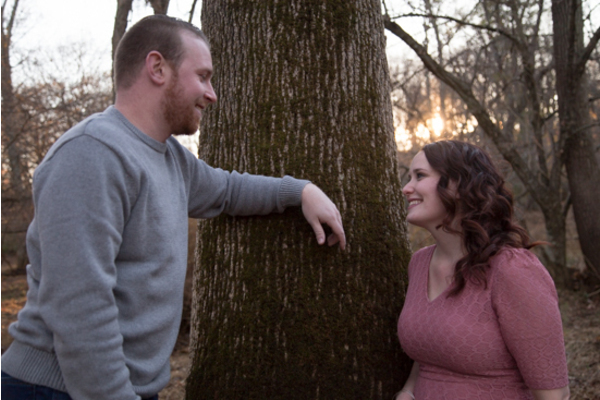 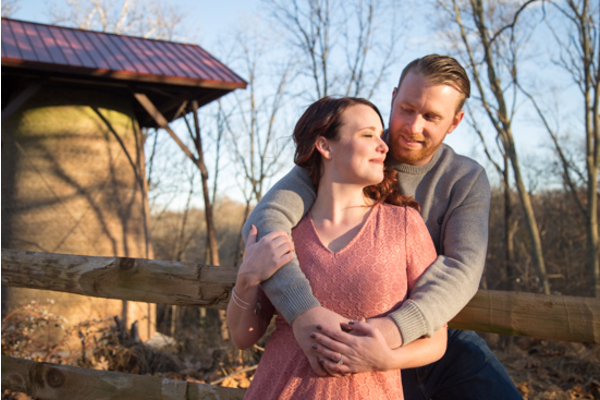 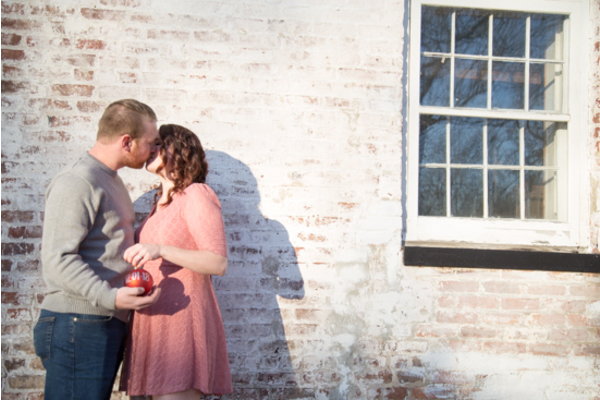 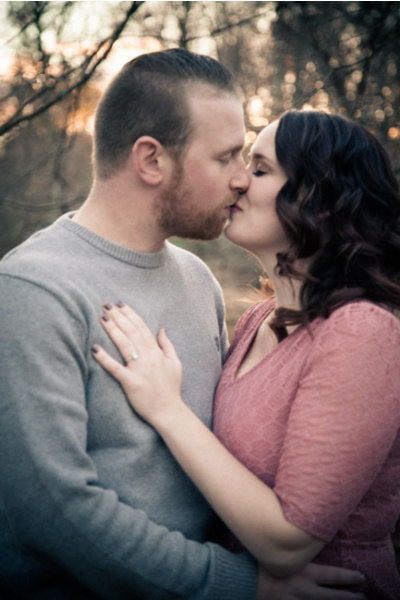 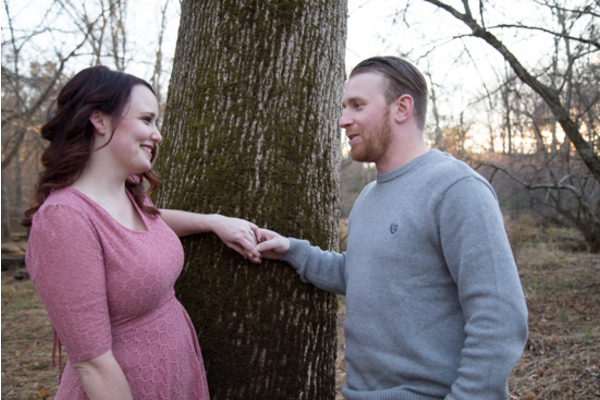 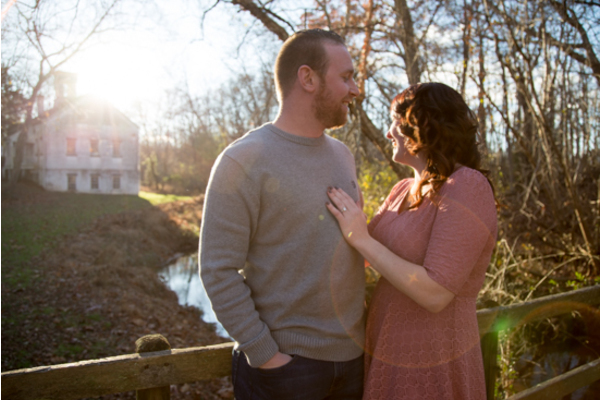 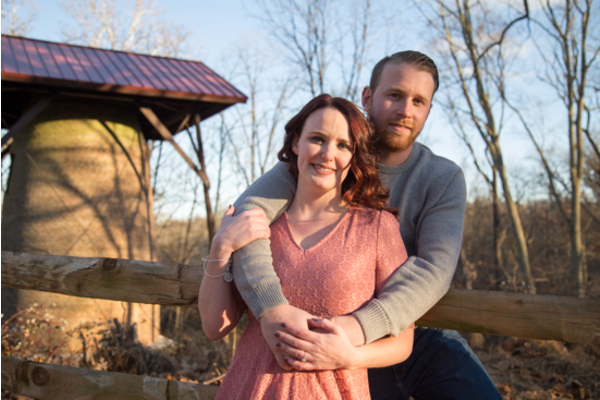 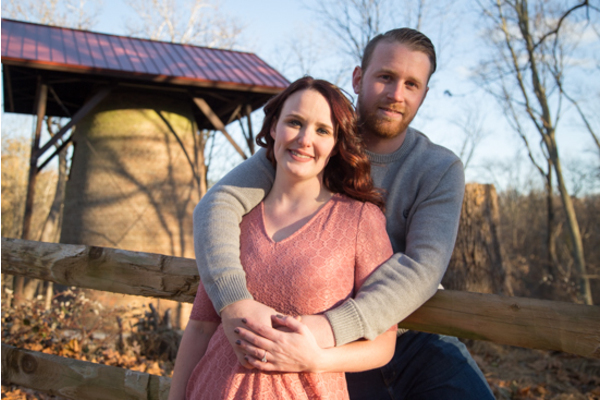 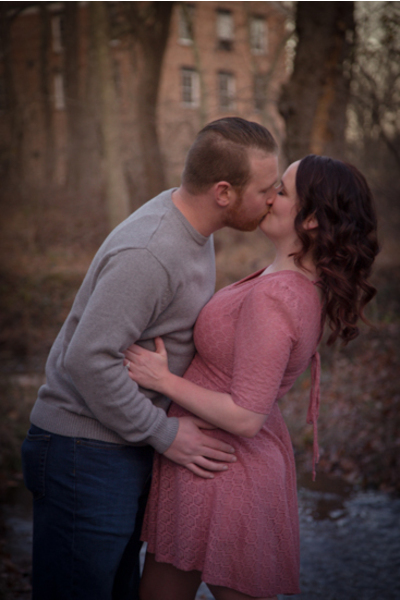 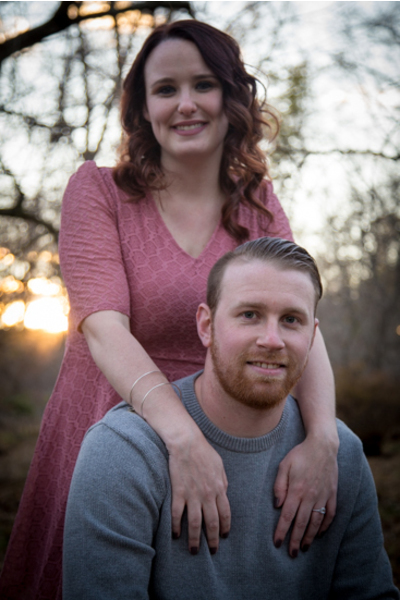 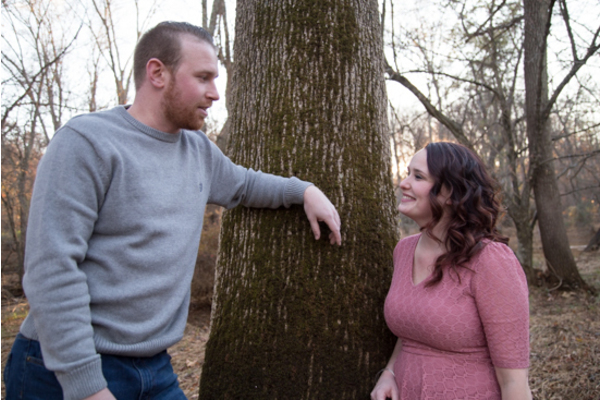 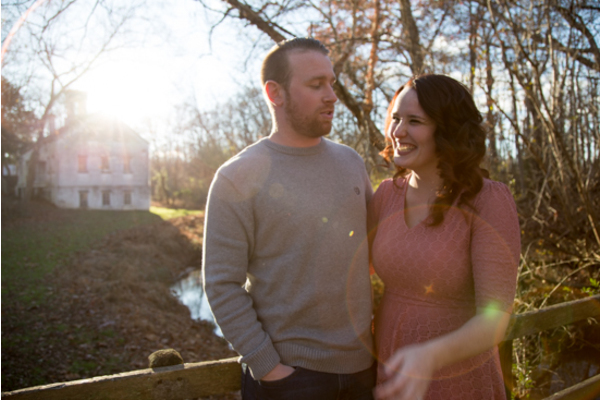 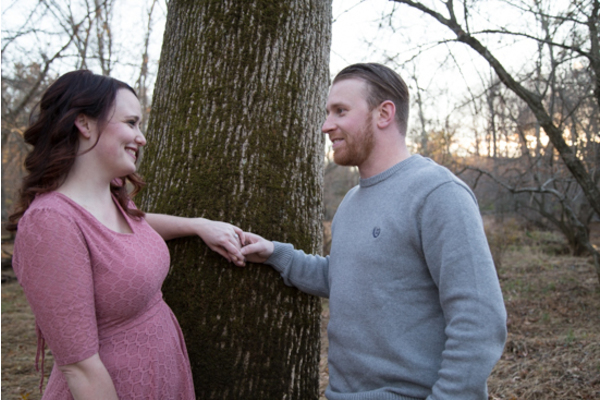 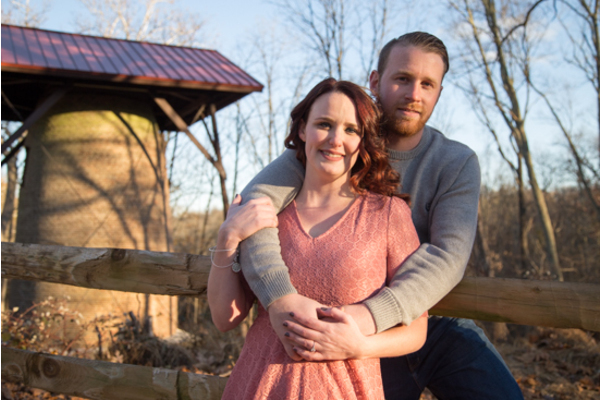 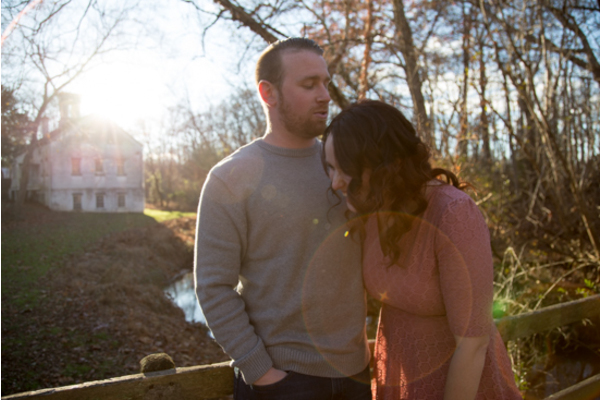 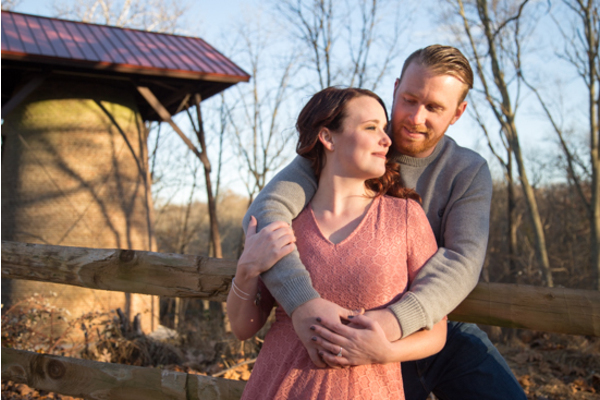 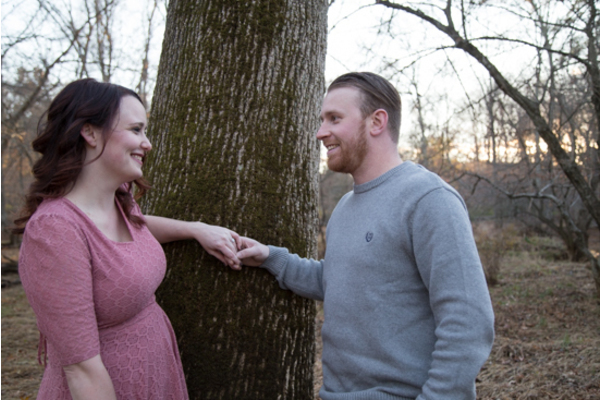 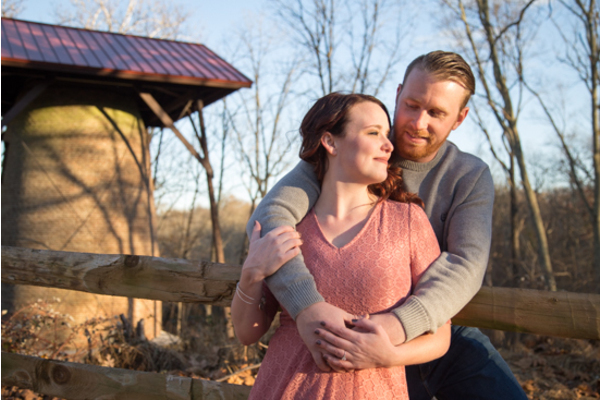 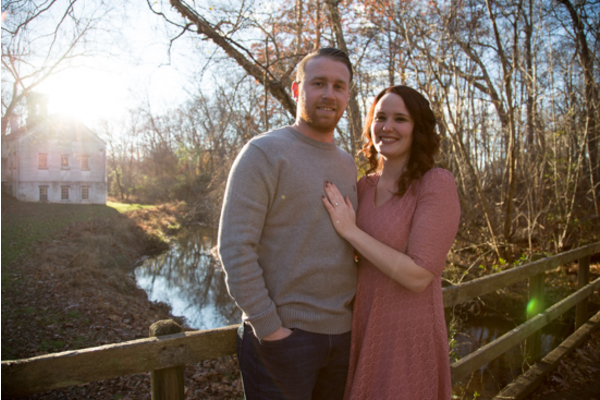 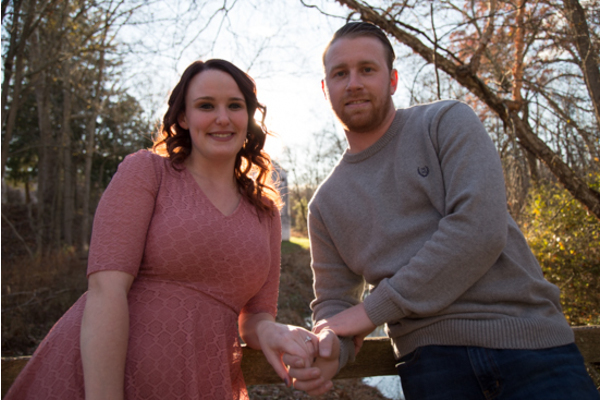 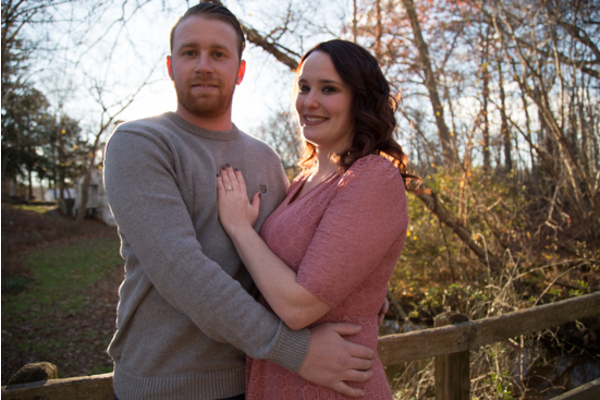 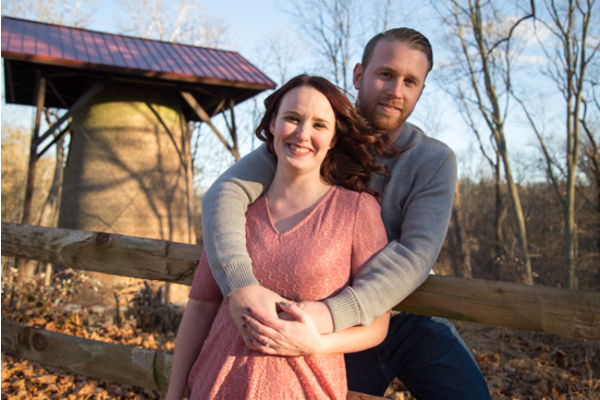 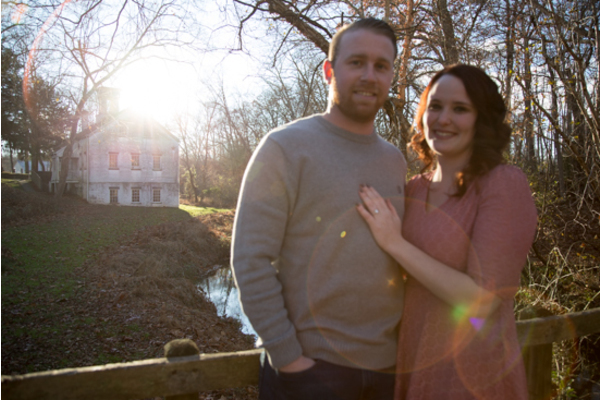 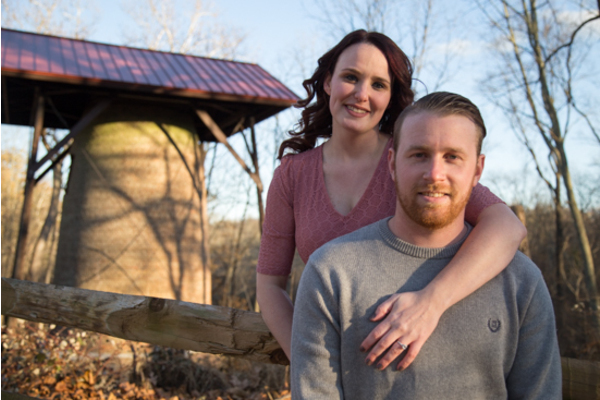 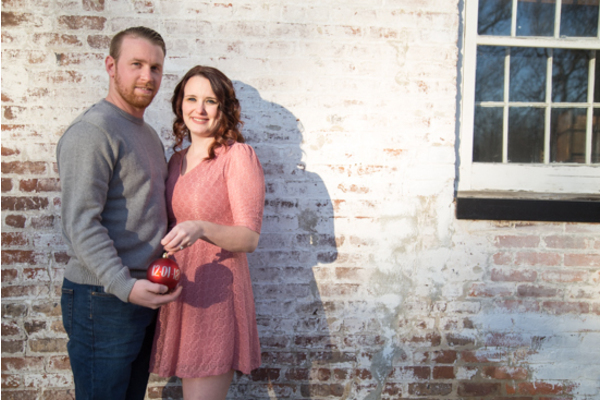 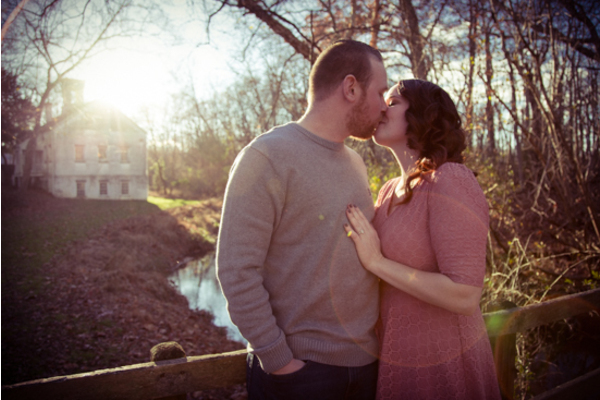 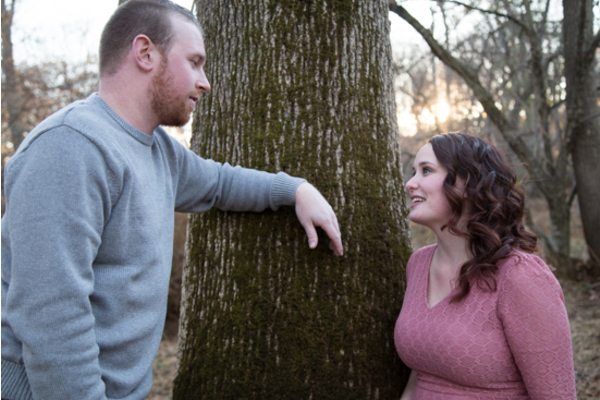 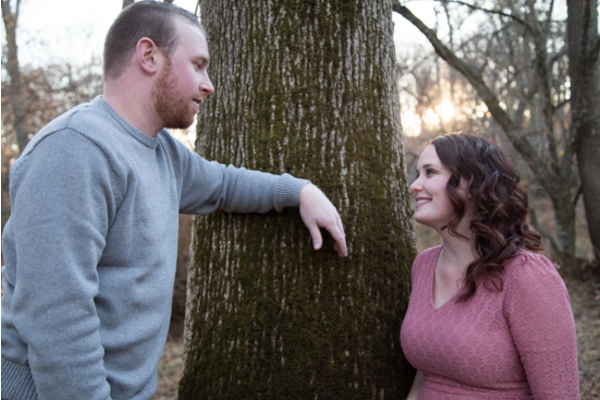 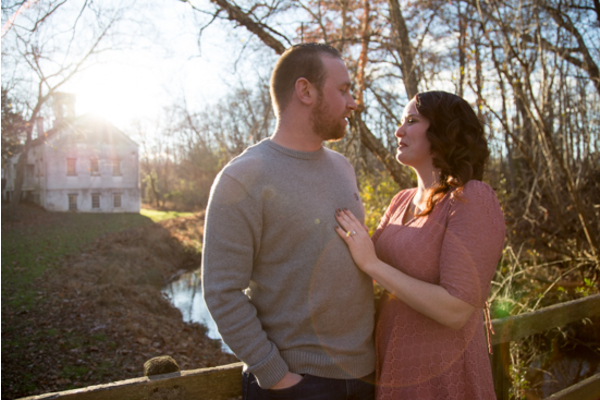 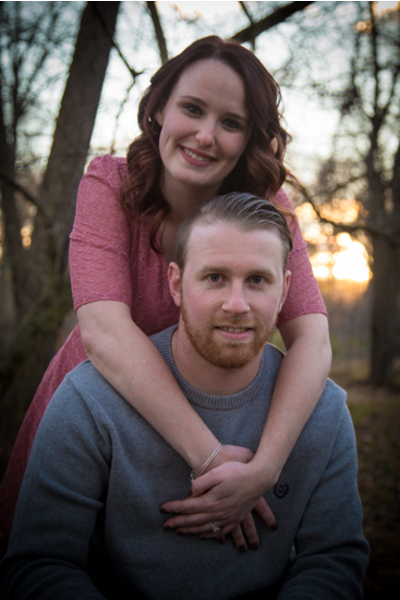 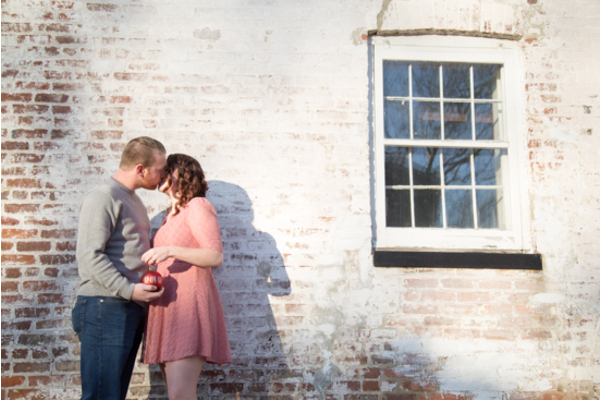 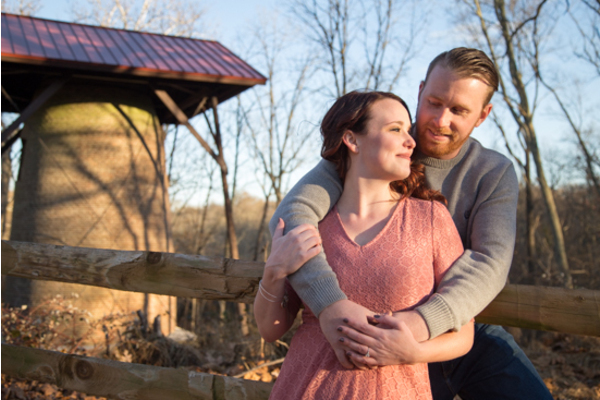 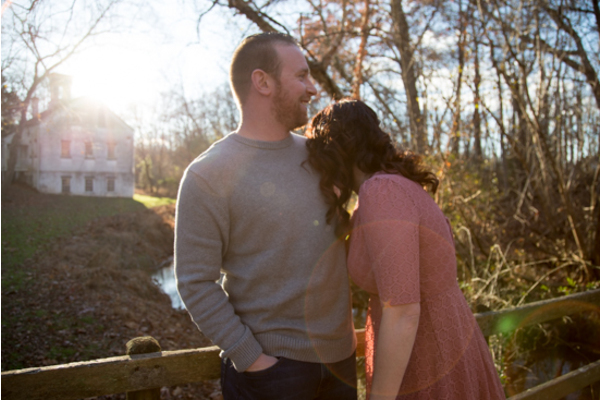 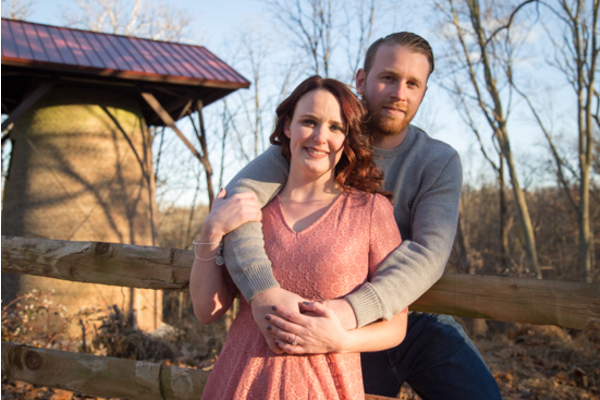 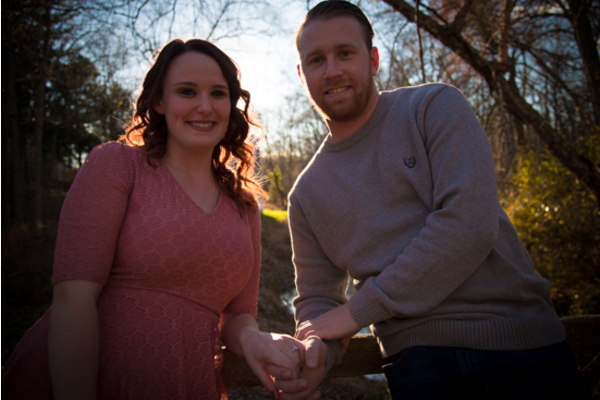 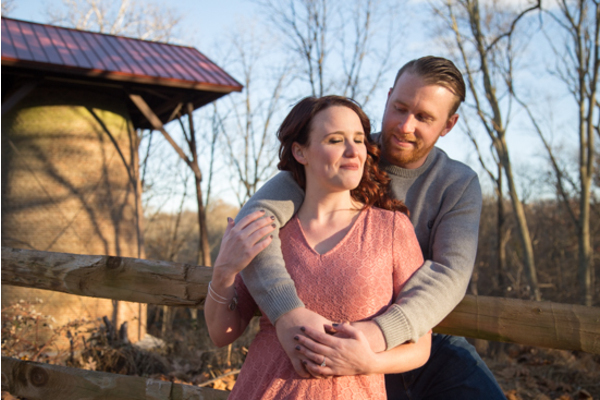 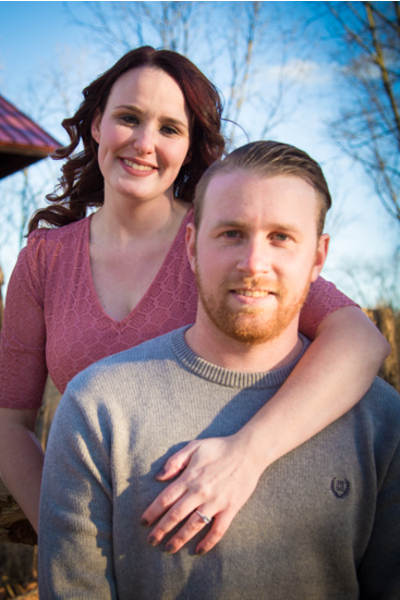 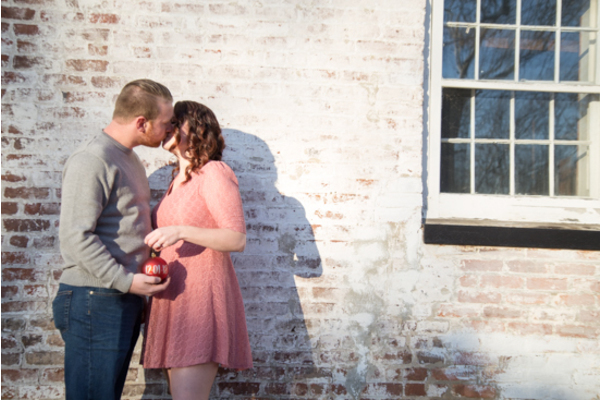 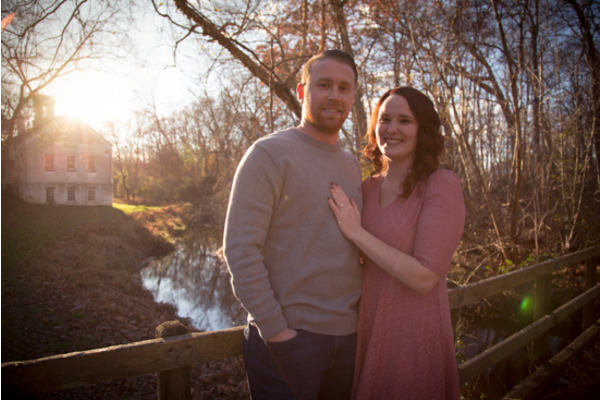 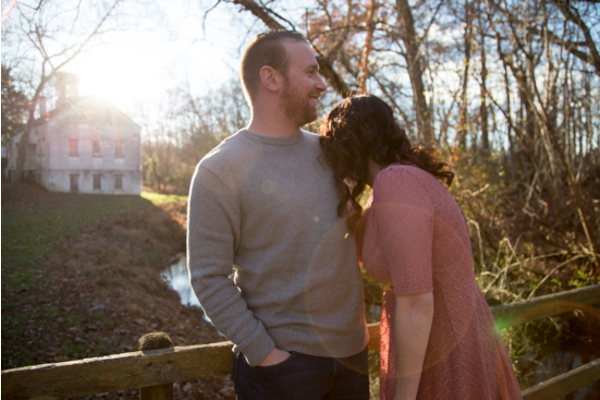 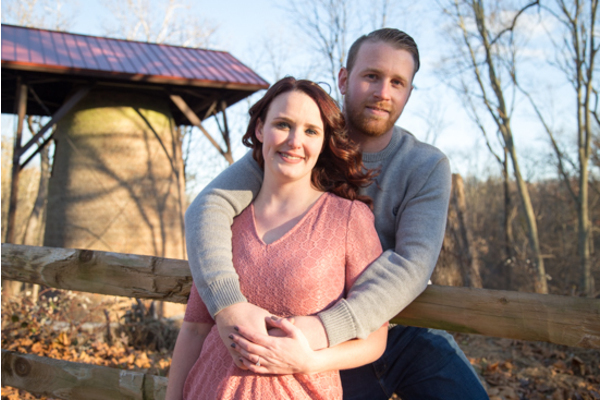 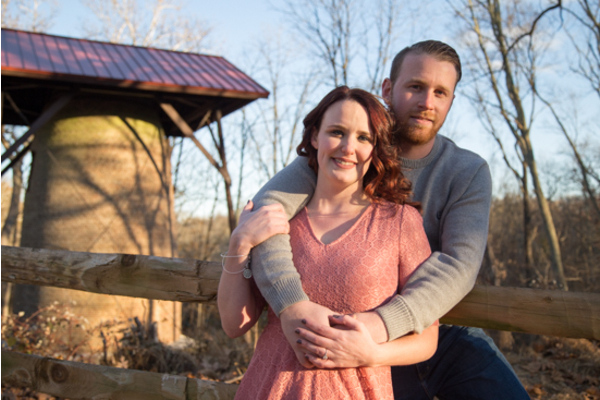 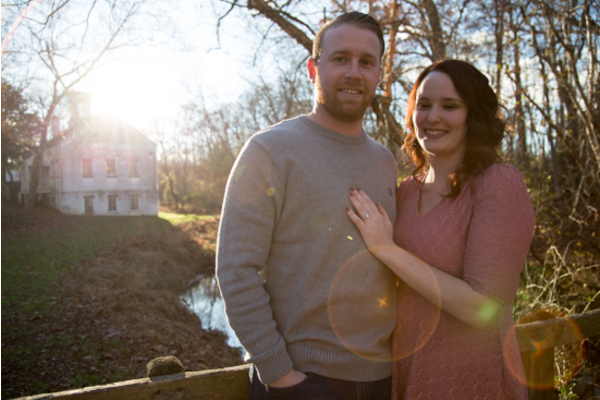 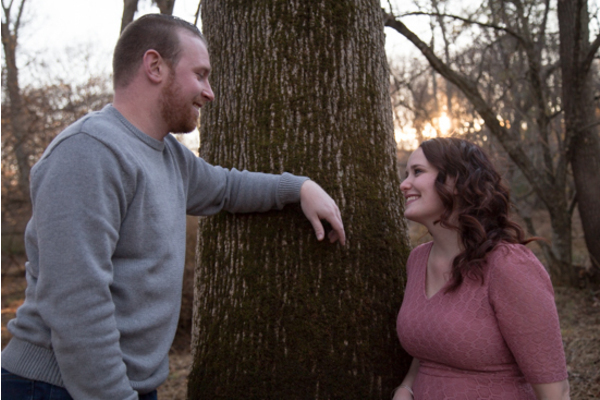 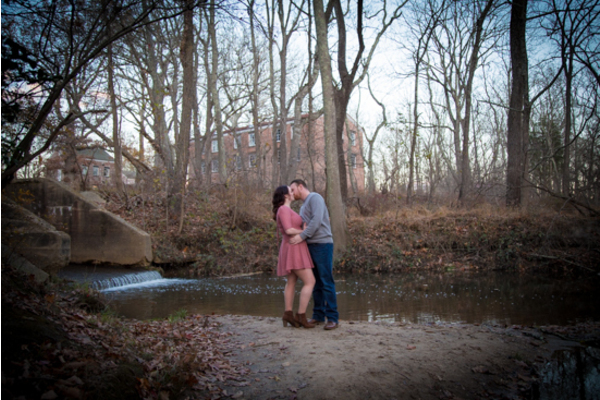 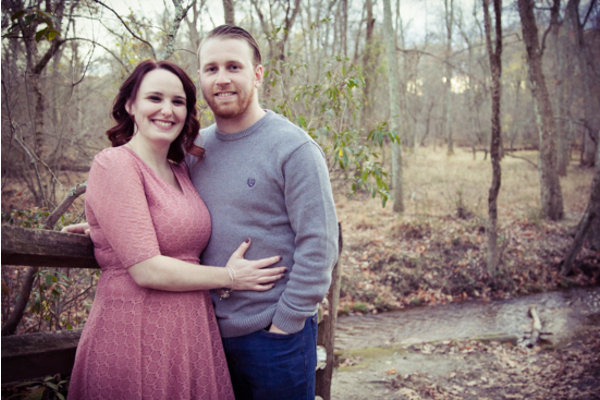 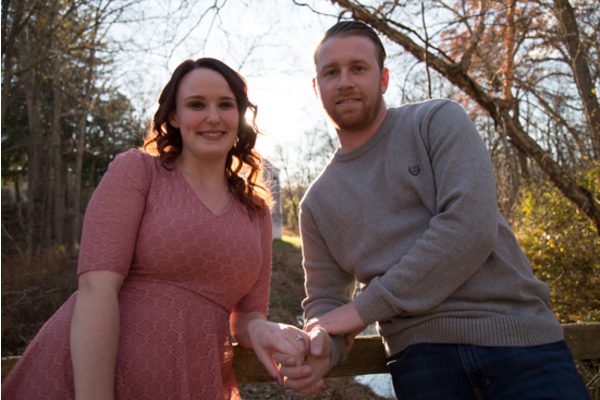 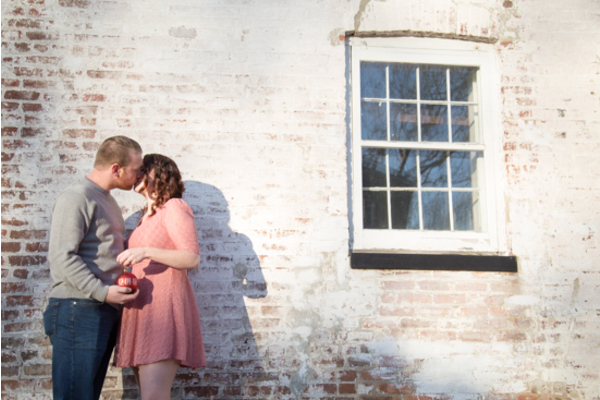 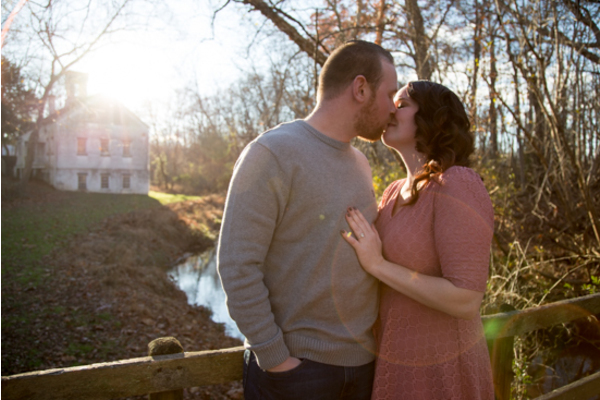 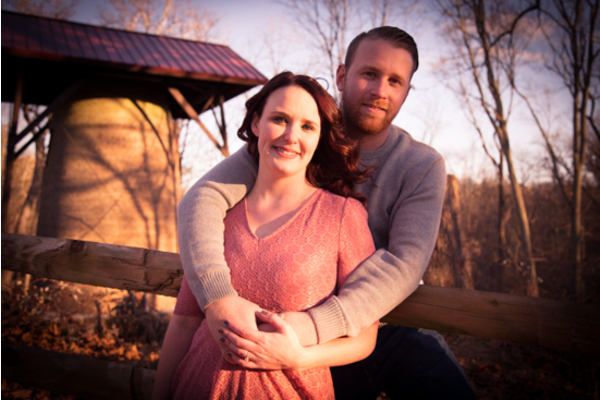 We can’t wait to see what will be in store for this couple on their wedding day! 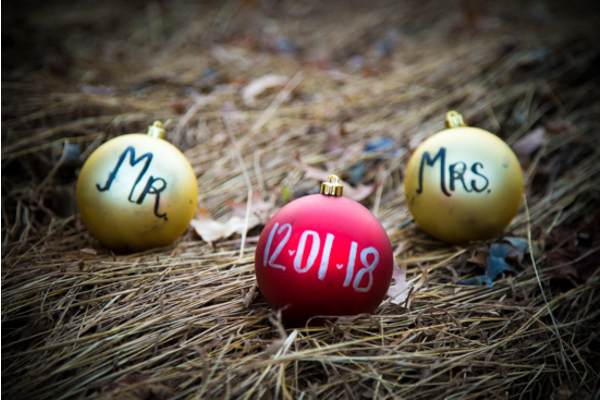 We hope you are getting as excited as we are for more beautiful photographs from our NJ Wedding Photographer and an altogether unforgettable day. 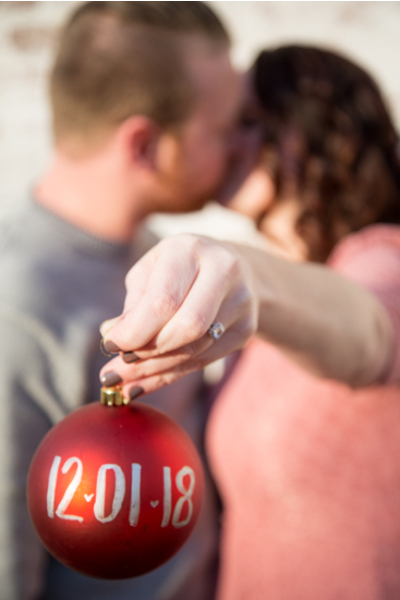 Congratulations, again, to Victoria and Andrew. 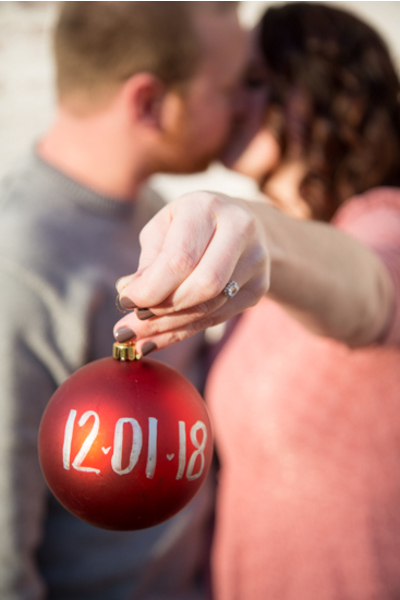 You’ll have each other to hold in case you both get cold at your winter wedding later this year!